One of my all-time favourites. As much a coming-of-age story as it is a swashbuckling adventure, Treasure island features unforgettable characters like Jim Hawkins and Long John Silver. Whenever I think of this book, and its depiction of the sea, I think of freedom. A bit of a cheat as it’s not actually set at sea, but the wild River Danek is a fine substitute in this moody, atmospheric tale. Wull doesn’t want to take over as Riverkeep, but when his father is possessed by a demon, he is forced to take up the mantle early, watching the waters and keeping them free of danger. Another classic that I still return to from time to time. Peter and the Lost Boys take on Captain Hook and his vile band of pirates. To me it’s simple: Neverland is childhood, while the surrounding sea, and the pirates who live there, represent the choppy waters of adulthood. Without doubt one of the most famous novels ever, Robinson Crusoe sees the titular character trapped on the “Island of Despair” after a shipwreck. 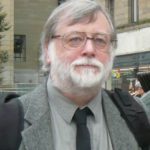 Throughout the novel Crusoe fights to survive, his challenges ranging from finding a food source to the presence of cannibals. But the greatest threat comes from the sea. A story filled with magical, dream-like wonders, tall tales and heartbreak, Life of Pi won an army of fans and spawned a successful movie. 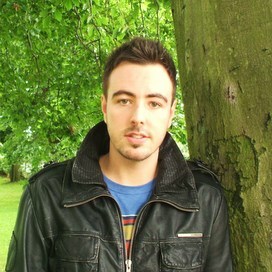 The book has many themes and everyone seems to take something different from it, which can only be a good thing. To me this is a book about belief, and the ocean seeks to test Pi’s beliefs throughout. 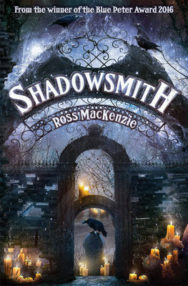 Ross’ latest novel, Shadowsmith, is out now (PB, £6.99) published by Kelpies. It follows the attempts of one ordinary boy and one extraordinary girl to hunt down the dark forces engulfing a peaceful seaside village. 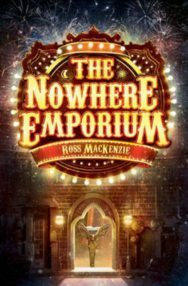 MacKenzie’s previous novel, The Nowhere Emporium (PB, £6.99), won the Blue Peter Best Story Award 2016, the Scottish Children’s Book Award 2016 and the North East Book Award, and appeared on the shortlist for the Brilliant Book Award.